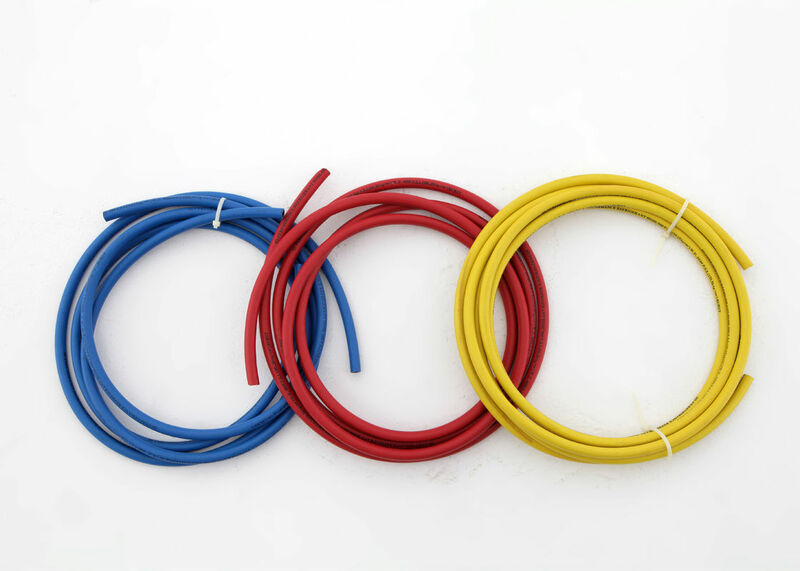 Refrigerant charging hose is well packed by transparent OPP films. 30 days for a 20' FCL after we have received the advanced payment. 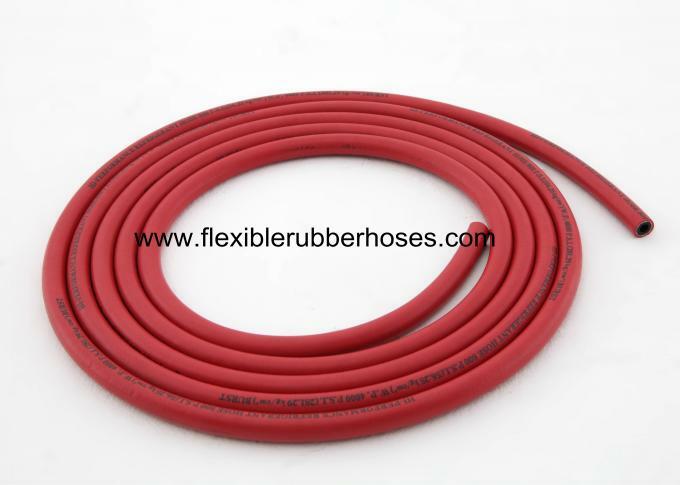 Intermediate reinforced layer of hose: polyester fiber sprial line. Anti-ozone aging: in the standard test chamber, concentration: 50+/-pphm; temperature: 40+/-2℃; testing period: 72t; without crack. Heat-proof aging: in the standard aging chamber, temperature: 70+/-℃; testing period: 72t; tensile change: not more than -25%; tensile stretch: not more than -30%. 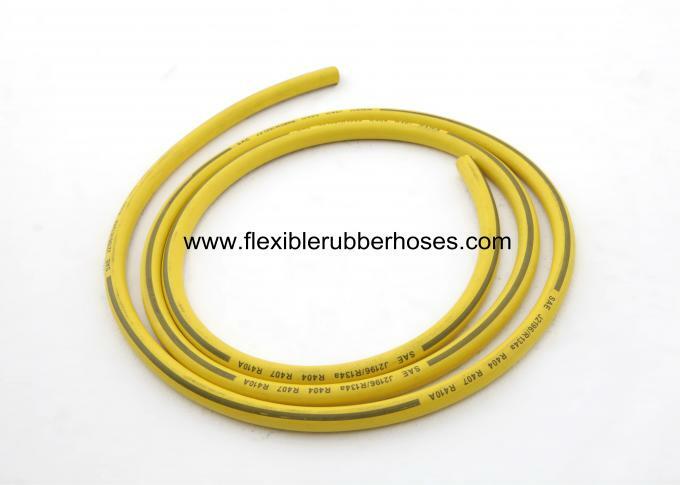 Physical properties: tensile stretch of inner and outer rubber layer:>300%; flexiblity of hose is sound under -30+/2℃ for 5t; without craze crack or fracture after 180 bending over or doubling. Corrosion resistance: the oil resistant grade of inner rubber layer is RMA-B; hexane corrosion resistant; preventing seepage of various refrigerants. 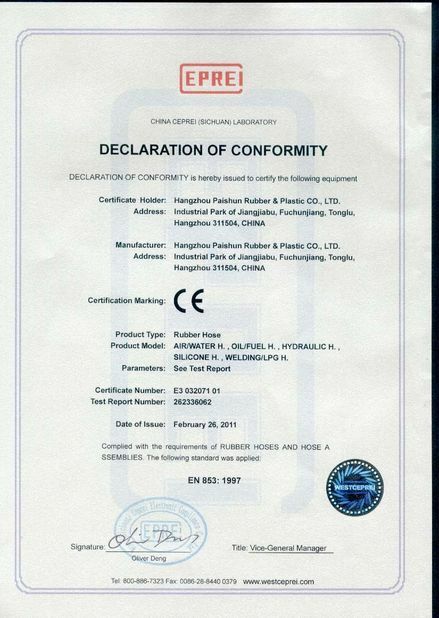 Conveying refrigerant such as R12, R22, R502 and R134a; applied widely to auto refrigeration, air-conditioning, industrial refrigerators etc; both the inner rubber layer and protective layer are of high level oil resistance of grade RMA-A antiseepage. 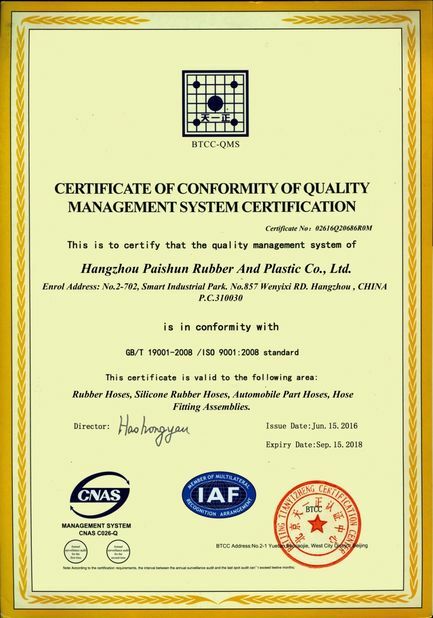 In addition, the carton packing and pallet packing are available as the case may be, but shall be changed additionally.